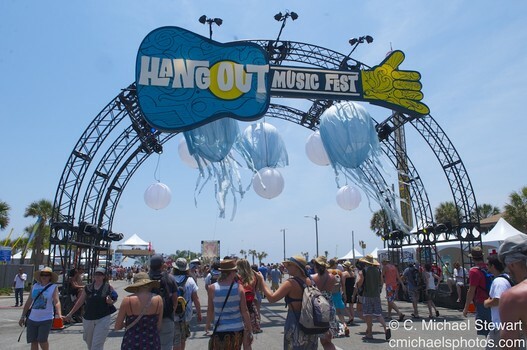 Bob and Susan Shallow of REMAX Paradise have graciously provided two VIP Tickets for the wildly popular 2016 HANGOUT MusicFest. This is the third year they have shown support for our programs through such a donation. 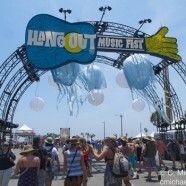 The ticket package up for raffle is valued at over $2,000 and the memories of this event will be priceless. Tickets are $10 each and the drawing will be held on Friday May 13th, 4pm at REMAX Paradise utilizing the Rallyup.com random electronic drawing process. 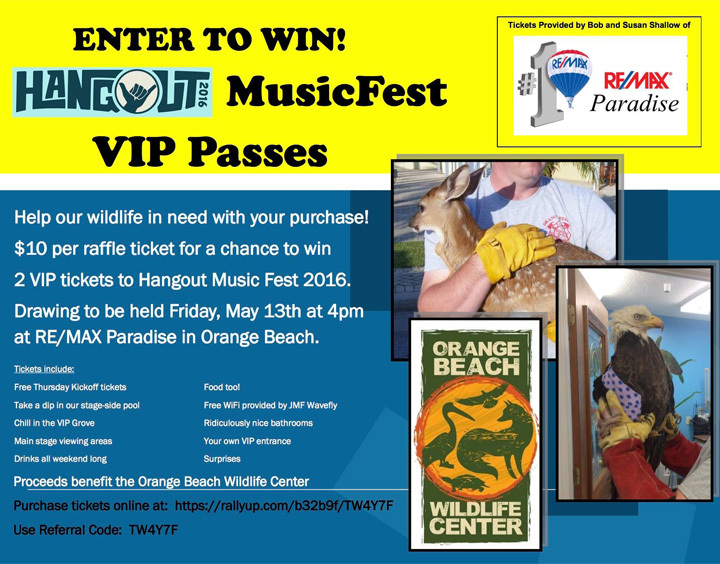 All of the benefits from this raffle will go to support projects at the Orange Beach Wildlife Center.